Château of Versailles – Une Fête Gallante & Dream come true! 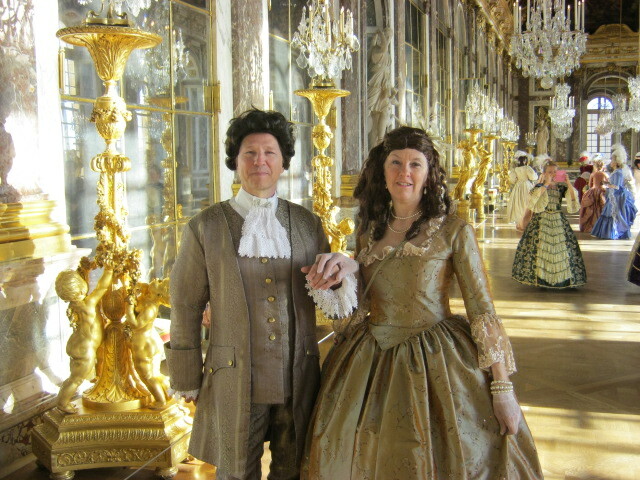 To mark the 300th anniversary of the death of Louis XIV, the Château of Versailles hosted a soirée costumée in la Galerie des Glaces (Hall of Mirrors). 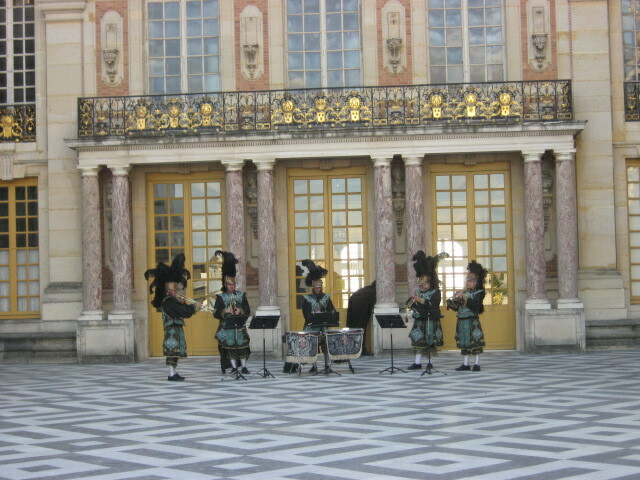 As we walked through the royal gate and up to the marble courtyard, musiciens played and a welcome drink/champagne was served. Once inside, there were baroque dancers performing, aria concerts to attend, baroque dances to learn, and parlor games being played, not to mention the private apartments of the King and Queen & la Galerie des Glaces to stroll through – a very special evening of regal ambiance d’antan! A nearby village was hosting a free gospel concert, as a fitting end to the Assomption Day celebration festivities (see previous post). There were around 400 people present to listen to the gospel singing and inspirational music. Not sure how many actually understood the English lyrics, but the crowd seemed to enjoy the rhythm of the music. One of the singers was from Martinique, so spoke French to the audience between songs. Below are some video snippets from the concert.